It's back! 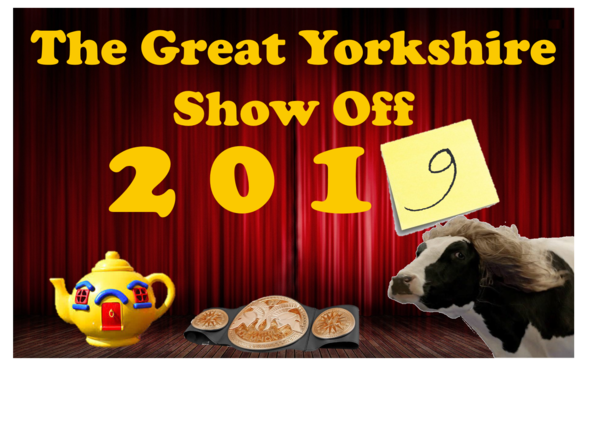 The Great Yorkshire Show-Off returns for a fourth year after the last three sold out shows. Don't miss it. On Saturday 2nd February 2019 at Walkley Community Centre. Who shall take the crown in 2019? Will Stan Skinny walk off as the undisputed champion or will one of Yorkshire's finest other Show Offs steal the crown? Only you can decide so come find out as we roll up, roll up to the greatest talent show in Yorkshire. This year's contestants include a man who nibbles pitta bread, a drag king, a one man band and a dancing wrestler. Hosted by Cabaret Boom Boom's irrepressible Mr Maynard Flip Flap, the evening will be rounded off with a special guest appearance from the King himself!